I know, the question you want to ask is ‘why would a personal trainer need a personal trainer?’. Well you lucky people, I’m about to tell you! Since I qualified as a personal trainer just over 2 years ago I’ve had quite a few different focuses for my training including working towards my first 10k, triathlon training, boxing and bodybuilding. When I have something to focus on and someone to be accountable to, my sense of purpose is increased and my brain feels happier. My focus at the moment is getting my cardiovascular fitness back to the point where I can start a 4 month triathlon training programme. The problem is that I’m not a fan of cardio. Also, having never thought about it before, my lack of mobility and flexibility is making itself known through a series of niggles in my knees, ankles and back. I decided it was time to get serious about my body, health and training and for me that means that I need to be accountable to someone. That someone is Stu at Fieldworks Gym in Hackney. 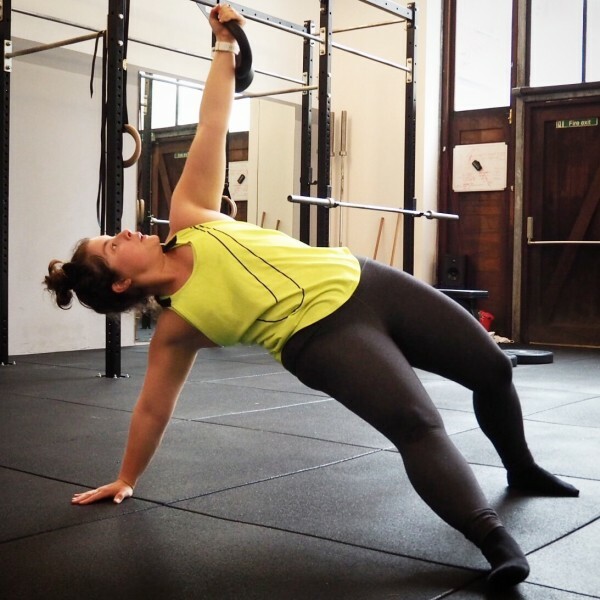 I went to one of his strength and conditioning classes and was really impressed by his straightforward coaching, no-nonsense approach and his focus on kettle bells, mobility and core strength. We’ve had a couple of sessions so far and I’m loving how we’re waking up muscles that haven’t worked in a long time (if ever – I’m looking at you posterior chain). I can’t wait to see where I am in another few weeks! I can make all of the excuses in the world to myself about why I couldn’t go for that run (trainers were tied wrong), why I couldn’t go swimming (my legs were stubbly) or why I couldn’t possibly do a circuits workout (Tuesday is a bad day for circuit training) but when there’s someone checking in with you each week about whether you’ve actually done what’s on your plan then it’s not so easy to wriggle out of it. As in, I’m not it. No one will ever know everything and as a trainer I still have a lot to learn. That includes learning about my own body and what I need to do to keep it healthy and strong for everyday life. Have you ever tried to evaluate your own technique and movement? It’s tough, especially when you’re the one doing the movements and you can’t watch yourself easily. Having someone who is watching your every move and giving you clear pointers on technique is invaluable. Have you hired a personal trainer? What were your reasons for hiring them?